Toyota won’t launch Lexus in India! 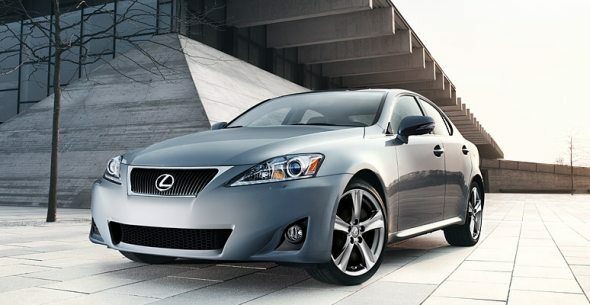 Toyota had earlier announced that they would launch their Lexus brand in India in 2013. However the arrival of Lexus in India has been indefinitely postponed due to several issues. He Lexus brand of cars were initially meant to come to India via the CBU (completely built units) route but the high import taxes have made this unviable. The taxes were last bumped up in 2012 and the depreciation of the India Rupee caused by the economic slowdown has further hampered Toyota’s plans. This along with other factors means that bring Lexus to India would not have been profitable for Toyota. Many had been waiting for Lexus to come to India but now it seems that the wait is going to be much longer. This is however a wise move on Toyota’s part has luxury car sales have not been very rewarding for current market players either. Even popular and much coveted brands like BMW and Mercedes Benz haven’t had the best sales figures over the last year. The only practical way of bringing Lexus to India in the present scenario would have been localization. Sadly, it seems that Toyota has no plans for local production as of now as it would require a huge investment and the returns do not seem very lucrative as of now. Other car manufacturers too may take cue from Toyota and postpone their entry into the India market.